An essential element of Japanese culture, the furoshiki is a traditional fabric that can cover or transport absolutely anything! 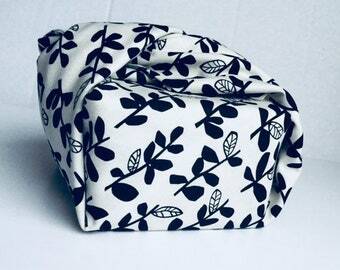 Use your new furoshiki to wrap gifts, hang on a wall, display as a tablecloth, as a fun purse, baby bag, scarf, or for transporting groceries or other goods. 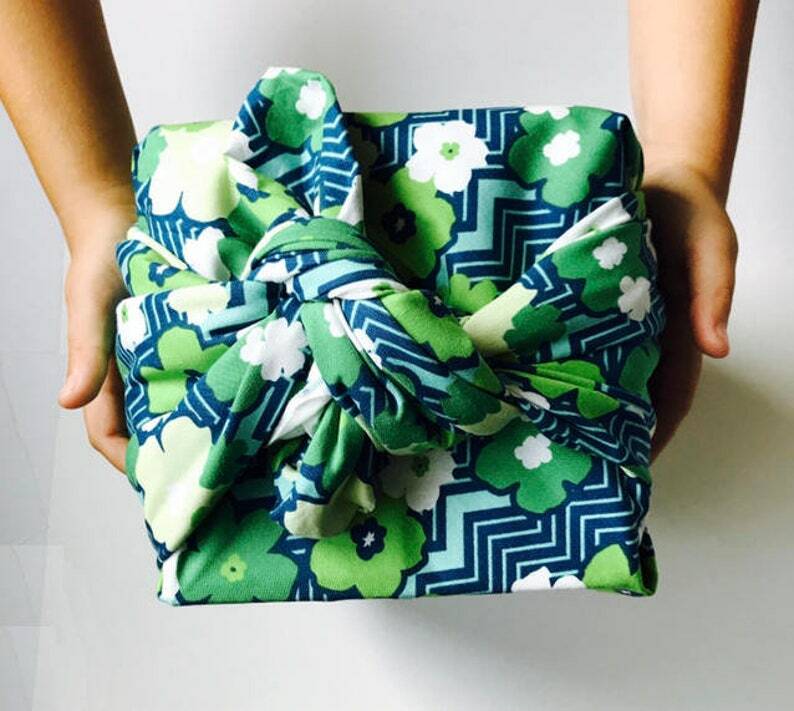 To present a gift wrapped with furoshiki is a heartfelt gesture. In Japan, it is considered very respectful and appreciative to wrap gifts in furoshiki. Chances are, you can start a fun new tradition as you will see the same furoshiki exchanged between friends and family over and over again! 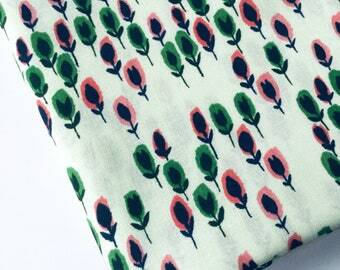 Furoshiki is not merely a piece of cloth, it represents a way of life that reflects back on simpler times. It symbolizes interaction between people in the most organic way – the giving and receiving of gifts in utmost sincerity, and thus the exchange of friendship and love. Way before it became hip to be an eco-warrior, the art of furoshiki was already entrenched in the principle of the three Rs – reduce, reuse, recycle! The average American family discards around 1,500 plastic shopping bags a year - using furoshiki is a small - but important - step in the right direction to contribute positively to the environment. Your furoshiki will be sent quickly, in our signature eco-packaging, ready to give away as a gift or treasure at home. Did you know ... items in my shop are made to order, so most fabrics listed as furoshiki can be used for sword bags, and vice versa! Send me a message if you see something you like in a different category.